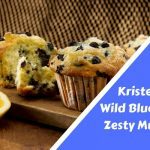 Kristen's Zesty Wild Blueberry Muffins are a delightful combination of blueberry and lemon wrapped up in a golden brown dessert. Preheat the oven to 375 F or 190 C. Grease 12 regular muffin cups or line them with paper liners. Using an electric mixer, cream the butter and 1 cup of sugar together in a large bowl. Add the eggs, one at at a time, beating well after each addition. Add the baking powder and mix well. Add the vanilla extract and lemon zest and beat well. 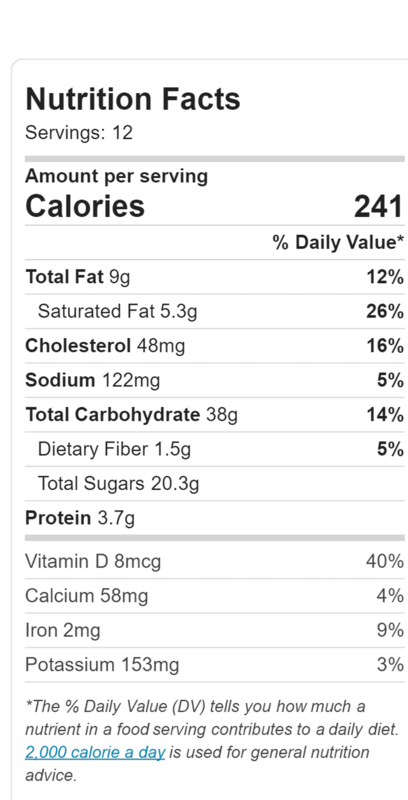 In another bowl, combine the flour, cornmeal, salt and cinnamon. Add half of the dry ingredients to the batter and mix lightly. Then add the milk and stir well. Add the remaining dry ingredients and stir just to to combine. Do not over mix. Fold in the blueberries, spoon the batter into the muffin cups and sprinkle evenly with the remaining 2 tbsp of sugar. Bake in the centre of the oven until the muffins are golden brown and a toothpick inserted in the centre comes out clean, 25 to 35 minutes. Cool the muffins in the pan on a wire rack for 15 minutes. Unmold and cool completely on a wire rack.